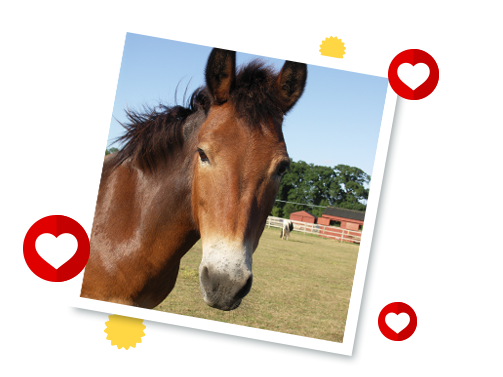 Muffin the mule was rescued with his mother in 1987 when he was only a few days old. Unfortunately, his mother passed away from a stomach ulcer soon after they arrived but Muffin was lucky enough to have made some good friends his own age. At only 11 hands high, Muffin may be small but he makes up for it with an occasional extremely loud bray! Muffin was the longest-serving Redwings Adoption Star until his retirement in 2017.